Dr. Martin Schiemann for his investigation of the pyrolysis behaviour and char burnout of solid fuels leading to a better understanding of the burnout kinetics of coal and biomass including torrefied biomass fuels. 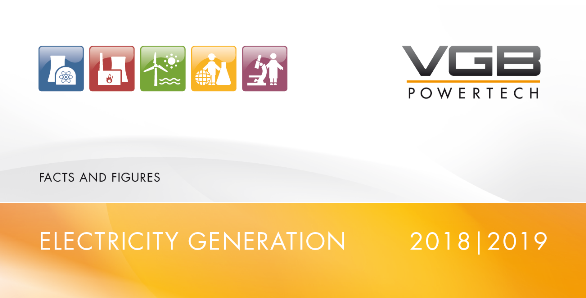 The VGB Innovation Award, endowed with a total of 10,000 Euro, was handed over by the VGB chairman on the occasion of the VGB Congress "Power Plants 2015" in Wien/Austria on September 9, 2015. 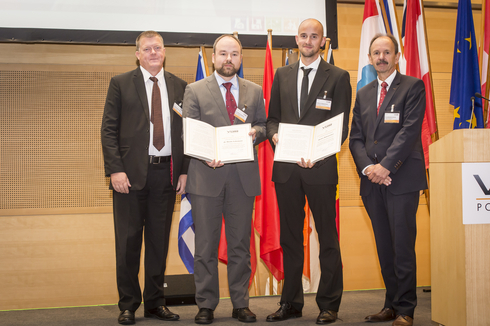 Dr. Bernhard Fischer and Erland Christensen awarding the VGB Innovation Award 2015 to Markus Rabensteiner und Dr Martin Schiemann.